Modern and sophisticated paddles are more than just popular at the moment and chances are high that they will be even more popular in the near future. The main reason is in the advantages these paddles have to offer. In this Werner paddles review, we will be reviewing the Werner Camano straight paddle. We must add that we performed tests in the real world and in real situations before writing the review! As such, you will be able to understand how and why these paddles are so special. They may be the leader in the world of water sports and adventures, but there are a lot of additional facts you have to know before you make your choice. Here is a quick recap on what we think of this paddle. Werner Camano straight paddle is currently more than just popular, so you will definitely want to hurry and order this unit. Reasons, why it is so desirable, are obvious. This is a high-end paddle which offers a lot of advantages and features, as you are going to be able to see them right now. The Werner Camano straight paddle is optimized meaning that the difference between stiffness and flexibility has been carefully chosen. In simple words, you will be able to enjoy using the paddle which is extremely lightweight, yet strong and durable. As a matter of fact, the lightness of the paddle is one of the main advantages and it is definitely worthy of consideration. A low level of flexibility has been added to the equation. What it helps you with is makes the paddle mode durable and more resilient to rocks or any other potential issues which may damage the paddle. All of this is possible if you know that guys at Werner invested hours and hours of testing all in the goal of making a paddle with these advantages. Here we can see another advantage of the paddle in question. 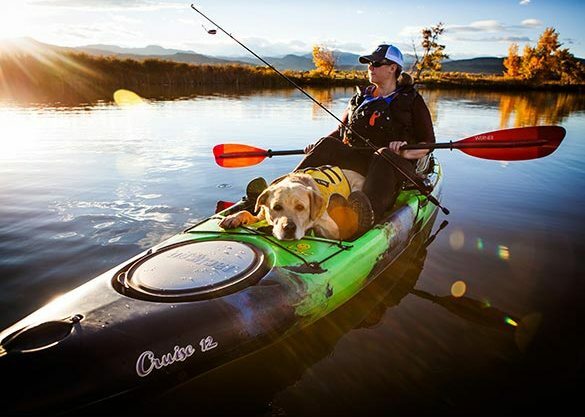 Best kayak paddles must be available in different sizes, due to the fact each user will prefer or better said must have a paddle of a specific length. The model we have here is available in different lengths, starting from 220 cm and reaching 260 cm. Of course, the versions in between include 230 cm, 240 cm, and 250 cm. We tested the mid-sized versions. It is the most popular of them all and it is suitable for most users. Reasons are once again simple. This size is suitable due to the fact it is comfortable for all users, but also has a positive effect on the performances. We have mentioned that this paddle is more than just popular, so some sizes may be unavailable for you right now. That’s why you are advised to make your mind today and to get the paddle we are talking about. Right now, models with 250 cm and 260 cm dimensions are currently out of stocks. We must add the fact that this paddle comes with a dihedral advantage. This is the main objective of most Werner paddles. In general, this is the main reason why they are perfect when it comes to straight paddling. They offer you the stability which is much needed for beginners and professionals. Almost all the reviews we were able to see are related to the dihedral fact. If you are still wondering what this means, remember that it is actually the shape and the balance of the paddle, combined with the weight and stiffness. All of this must be perfectly balanced in order to assist you with the paddling and make a professional out of you. Here we must add that the paddle we tested is extremely smooth to use. You can almost feel how the water escapes of the paddle, which reduces the effort a user must invest into paddling and at the same time improve the speed. If you are looking for a paddle that also increases your stability and helps you reach the next level, this one is just perfect. 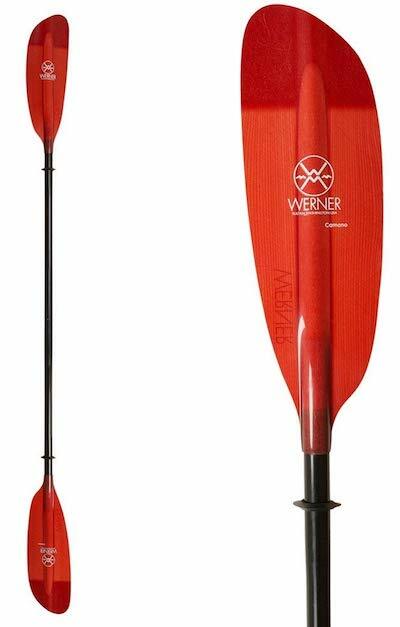 With this Werner paddle model that we are reviewing, it is made of fiberglass. You can deduce what the main benefits of owning a paddle like this are. Yes, there are far more advantages than you believe to know, so let’s reveal them as soon as possible. The first and therefore the main advantage of fiberglass paddles is the weight. They are usually lighter than any other alternative available on the market. Basically, this allows for users to use them for a longer period of time without fatigue. Also, when it comes to maneuverability, these paddles are easy to use and maneuver in any situation, so more professional kayaking is possible. 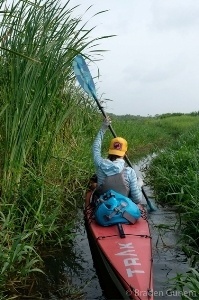 Kayak paddles made of fiberglass are extremely durable. 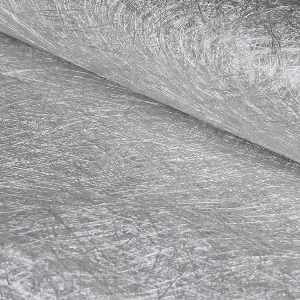 For example, units made of foam and layered with carbon will break within a couple of months. You may need up to 3 units per a season! Fiberglass models are different and they are able to flex, just a little bit in order to provide a much longer lifespan. It won’t be impossible to own a paddle of this kind that will last for a decade! Werner paddles made of fiberglass also offer a unique feel when used. They will flex a little bit, as we have mentioned, so the overall feeling will be better. Basically, you are able to feel the water gliding over the paddle, which helps you maximize your potential and becoming better in kayaking. In other words, these paddles can help you become a professional. The bottom line here is that if you are looking for a new paddle which will help you become better in kayaking, the fiberglass models are definitely worthy of consideration. They are different, special and they are more than just desirable at the moment. 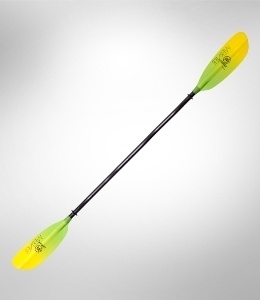 To look for other types of kayak paddles, click here. The answer to this question is more than just simple. 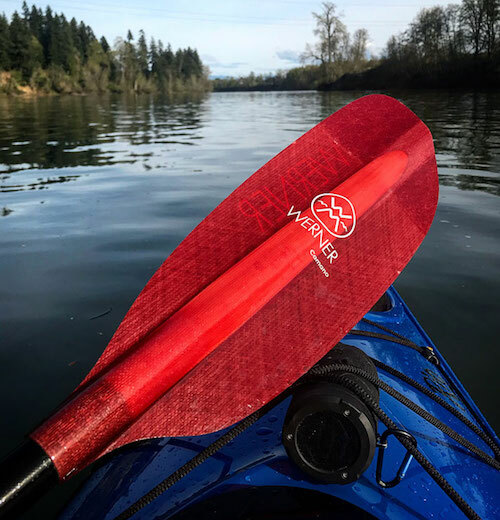 This paddle is optimized and developed for experts and those who want a premium and high-end model that will assist them with kayaking perfectly. The paddle is durable, extremely strong and well-made all in the goal of meeting the highest possible requirements you may have. Beginners are highly recommended to consider this paddle as well. It is easy to use and it is known to enhance paddling in no time. However, if you are an experienced kayak angler who is looking for a paddle, we recommend you to look into Best Kayak Paddle for Fishing. We hope that our Werner paddles review is able to help you fully understand the pure essence of this paddle in question. The Werner Camano Straight Paddle is more than just a simple product that is made to last for a few months. It is a high-end paddle designed and made for those who wants to use it to their full potential. We would definitely recommend this paddle and rate it 5/5 stars. As such, you are welcomed to choose and use this paddle for any purpose you have in mind. It will definitely meet all of your expectations!